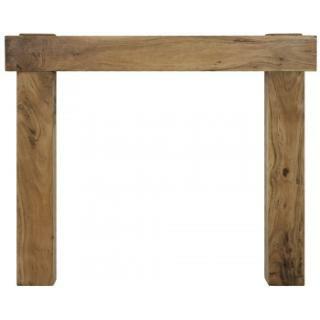 The New York is a contemporary fine wood fireplace surround. The classical plain finish is complemented by the unique design that sees the shelf cross in front of the legs and extend beyond their width. 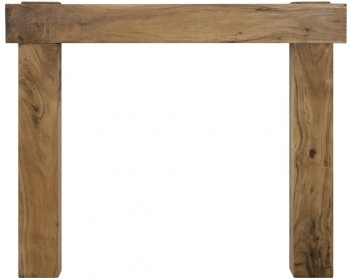 This surround is available in a Distressed Solid Acacia finish.